NEW YORK — Whitney Houston’s mother will perform a tribute to her late daughter alongside other female singers at the upcoming BET Awards. 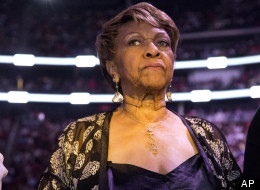 A source familiar with BET’s plans said Tuesday that Cissy Houston will take the stage at the July 1 awards show to honor her daughter. Cissy will be joined by “a few top divas,” the source said, though the source could not give their names. The source spoke on condition of anonymity because the tribute has not been officially announced. Whitney Houston died at age 48 in February. Authorities called her death an accidental drowning, complicated by heart disease and cocaine use. The BET Awards airs live from The Shrine Auditorium in Los Angeles. Kanye West, Beyonce and Jay-Z are the top nominees.